Blog / Florence / Where in the world is the David? We’re talking of Michelangelo’s David here: how many of them are spread out throughout the world? It seems that as the most famous statue in the world, the likeness of the marble David appears not only in small plaster statues, but as lamps, aprons and even in the Simpsons! Of course there are also official copies in marble and bronze in Florence and in other countries given as gifts by the city but we’re talking of any David seen in a store, a t-shirt, a souvenir taken home from a visit to Florence. 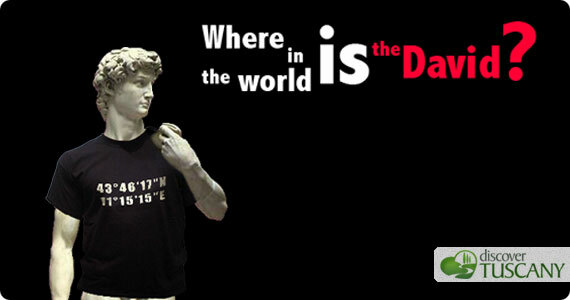 The project was just launched yesterday by the city of Florence to see how many Davids can be found across the globe. The project is calling for everyone to take a picture of any semblance of the David they find and to share it on www.whereisthedavid.com. Your pictures will be shared with everyone on the website and eventually a selection will be made to be part of an exhibition at Le Murate in Florence. Take part in this unique project: Find it, take a picture and share it!